This past weekend I enjoyed the Spring weather outdoors with a real cute little nugget and her momma at the Dogwood Arts Festival in Knoxville. I love free events...especially when corn dogs are involved. Corn dogs weren't the only good thing at this festival. There were artisans from across this great state sharing their creations and there is literally something for everyone. 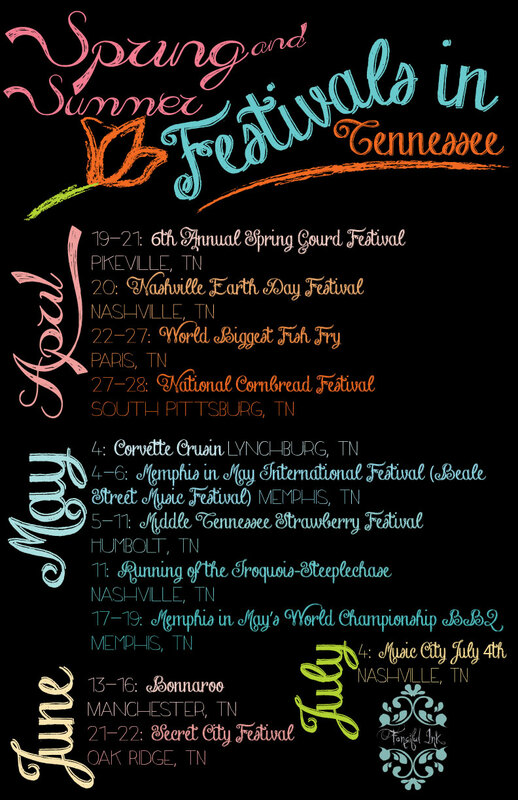 This festival in Knoxville has a number of different events so be sure to check it out and find something you would like to attend. In honor of the festival...I love my dogwood trees. Spring and early summer are the best times of year for festivals. I guarantee you can find a festival near you that would be right up your alley. Festivals usually provide free opportunities for fun with large or small groups. You will learn a little more about communities near you and maybe even make new friends. Because Laurie and I both reside in Tennessee I thought I would share some of my favorites or some that I think are must sees. I gathered this information from www.tnvacation.com. They have an exhaustive list. You can also join them on facebook and I’m sure you will be in the know at all times. I have lots to say about some of these events as I have been to a few so just let me know if you want any more info. Be sure to research some of the cities the festivals take place in too. You might find other things you want to do while you are there and it may give you even more reason to go. Say you want to go Corvette Crusin in Lynchburg, you might want to visit the Jack Daniels distillery while you are in town. Or say you go hear some blues at the Memphis in May Beale Street Music Festival, you might want to visit the Stacks studio for some music history while you are in town. You could even go to the Secret City Festival and visit the museum I told you about in this old post. That should be enough festival fun to get you by until the dog days of summer. Get out and enjoy all the excitement near you! I know I will!